Are you a veteran? Are you entitled to benefits? Many elderly Veterans are eligible or could become eligible for benefits but are not receiving these benefits. 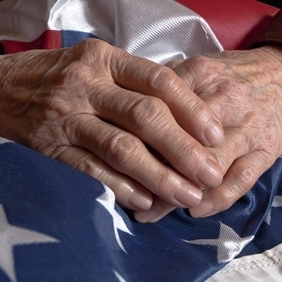 The most common benefit for Veterans is the Pension, often referred to as Aid & Attendance. 2. Medical requirements: Over the age of 65 or has a disability. Generally, to receive maximum benefit, the veteran or spouse must have a regular medical need for assistance or supervision. 3. Financial requirements: Assets and Income (less out-of-pocket medical expenses) demonstrating a need for pension. Applying for VA benefits can be an overwhelming task for many senior veterans. We can guide you through the process. We can also employ legal strategies to help you meet the asset and income limitations, if necessary. Often this is done through a veterans asset protection trust- a trust specially designed to help you qualify for VA benefits without having to spend down all of your assets. Contact the Crandall Law Group to discuss the Veterans benefits planning strategies that may be available to you.